The June solstice 2018 issue of The Planetary Report is about to mail and will arrive at Planetary Society members’ homes within days. Members who want to read it sooner can access the magazine here. 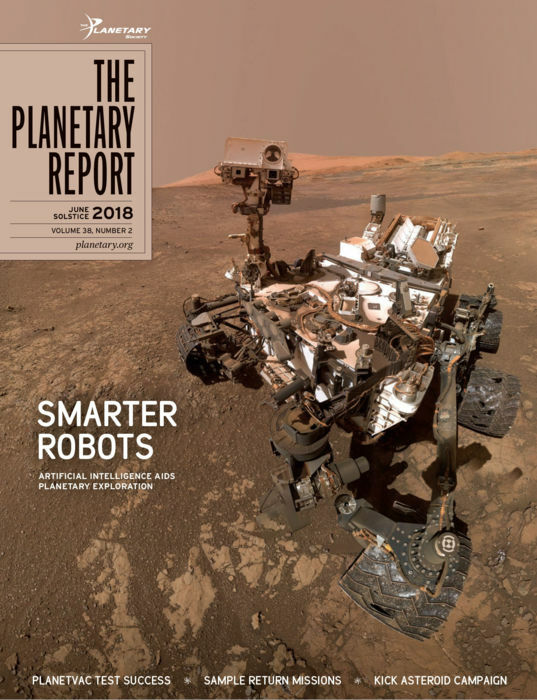 This is my last issue as editor of The Planetary Report. By the time you read this I will be retired from this position and looking at a nice, long stretch of free time. A colleague recently pointed out that I’d worked for The Planetary Society for a third of a century, and that is spot on. I’ve noticed that people often cringe when they have to admit to how long they’ve worked at a place, as if there’s something wrong them for not being constantly on the move. Why? What if there is something so worthwhile about one’s work that there is no reason to go anywhere else? At The Planetary Society, we have several staffers who’ve been here almost as long as I have, and some younger ones who’ve said they aspire to be “lifers.” That says it all. When your employer’s vision statement is “To Know the Cosmos and Our Place Within It,” you might feel hard-pressed to find something better. Nevertheless, people do have to retire, and you will be happy to learn that The Planetary Report’s newest editor will be none other than Emily Lakdawalla. You’ll be hearing from her very soon. 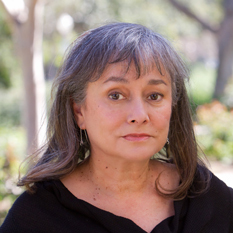 She has an exciting Fall issue in the works. In this issue, we showcase one way that artificial intelligence (AI) is advancing space exploration. Raymond Francis and Tara Estlin of the Jet Propulsion Lab describe AEGIS, the autonomous targeting system enabling Curiosity to select promising Martian rocks for analysis without waiting for human commands. At Johnson Space Center, Keiko Nakamura-Messenger is working on both NASA’s OSIRIS-REx and Japan’s Hayabusa2. These missions are about to arrive at asteroids Bennu and Ryugu, collect samples from these pristine leftovers from the formation of our solar system, and return them to Earth. Casey Dreier continues the discussion by looking at the history of sample return missions and at the challenges of gathering samples from Mars. Plus, Bruce Betts describes the milestones crossed as LightSail 2 moves closer to the launch pad, Richard Chute encourages everyone to Kick Asteroid and Bill Nye celebrates success from our recent PlanetVac tests in the Mojave, to the Planetary Science Caucus in Washington, D.C. The Planetary Report is a quarterly benefit of membership in The Planetary Society. If you are not yet a part of this awesome organization, we invite you join us here. Hi Donna, Thank you for the great work you have done over the years! Your efforts will be missed for sure. I've been a member since 12/1979 when requests to join first came out. Yikes! That long! I'm retired now also but I still am doing space exploration and support, here and on NASA Mars projects (volunteer status). I love this stuff! I hope you'll drop in on blogs from time to time as one of us members or maybe a guest blogger some time. : ) I hope you have fun in retirement!